Expansion in solid building materials, reliable knot formation in all cavities. 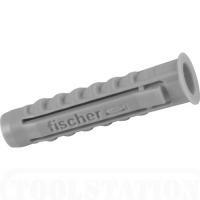 Use UX 6 long version with fischer spacer screws for maximum load-bearing capacity in perforated materials, double-skinned plasterboard and for bridging non-load-bearing layers. The unique design enables use in almost all building materials. Diagonal connection ridges for optimum screw guidance. New saw-tooth anti-rotation lock prevents the fixing rotating in the drill hole. Low turning and high tightening torque – the first universal fixing that really “holds“. Can be used with wood and chipboard screws from 4 mm to 12 mm. 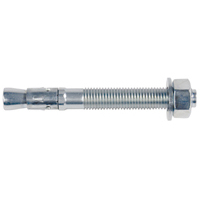 Integral drive-in lock enables – if pre-assembled screw – optimal push-through installation. The collar of the UX R prevents it slipping into the drill hole.